These awesome, almost-vanilla socks are designed to be knit cuff-down and feature a gusset heel and anatomical toes (so you always know which foot goes in which sock!). And the best part about them, in my maybe not so humble opinion, is that the maximum amount of interruption of the weird pooling that happens when we work a heel is hidden behind the stitch pattern. Spreading the knitting love to all - save 15% on the pattern here on my website or on Ravelry at checkout (no coupon code needed) until 11:59 pst on Wednesday, February 7th! 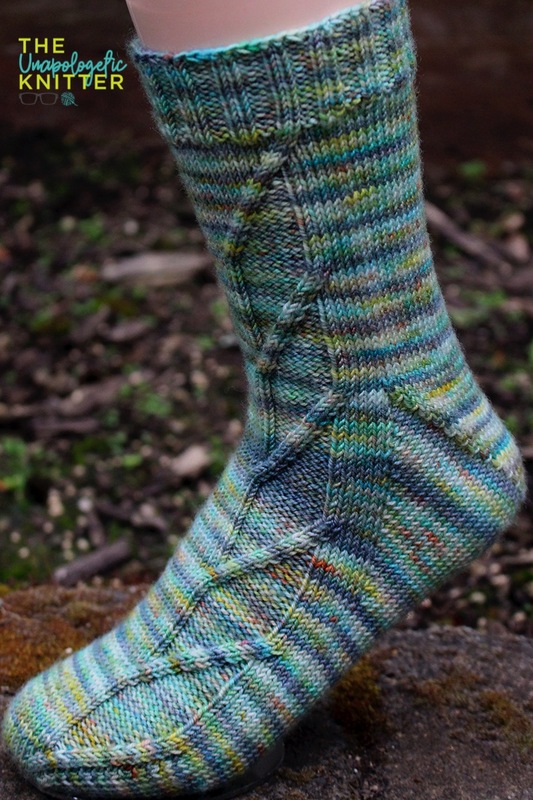 HERE'S THE DETAILS SO YOU CAN MAKE YOUR VERY OWN VANILLUS INTERRUPTUS SOCKS! And psssst... Heather is hosting a special dye-to-order shop update today and tomorrow (Feb 7th and 8th) - limited quantities are available, once they're gone, they're gone! 6.75 (7.5, 8.5, 9.25)” / 17 (19, 21.5, 23.5) cm circumference (unstretched). Fit: 1” / 2.5 cm of negative ease is recommended. 34 sts and 48 rows = 4” / 10 cm over stockinette stitch in the round, taken after blocking. 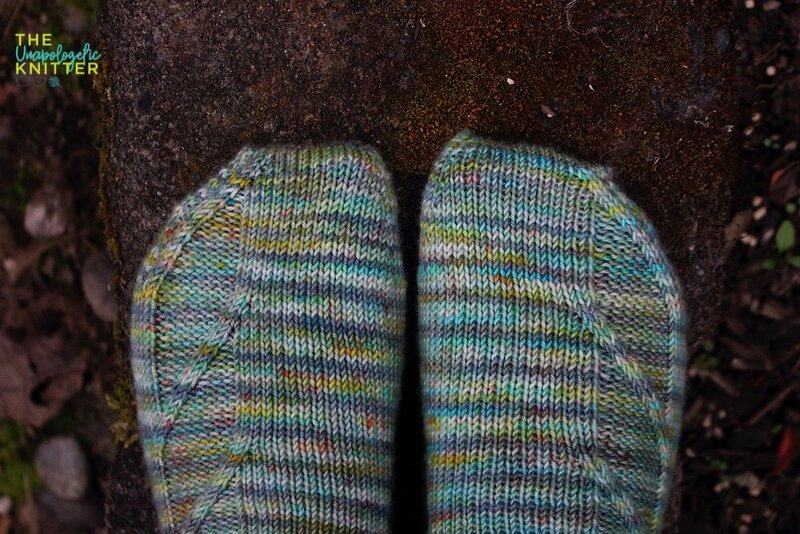 These socks are worked from the cuff-down and feature a Gusset Heel. These socks are mirrors of one another. This pattern includes charted instructions for the patterned section of the sock and is written for the Magic Loop technique. In the case of using DPNs, the Front Needle is synonymous with Needles 1 & 2 and the Back Needle is synonymous with Needles 3 & 4. Are you still here, reading? Go grab your yarn and your needles, a copy of the pattern (obvs!) and get casting on! You'll be glad you did!